Location: Fenner residence, Saratoga, California. Dorothy Fenner (b. 1917) attended Oregon State College as an undergraduate from 1935-1939 and as a master's student from 1939-1941, obtaining degrees from the college's Home Economics program. 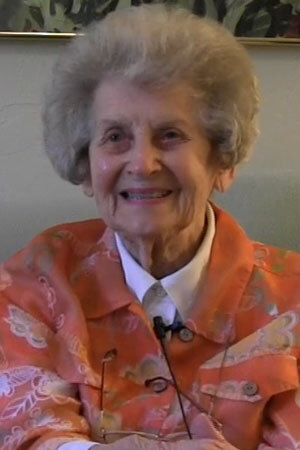 During World War II, Fenner served her country as a code-breaker, intercepting and interpreting Japanese signals from a base in northern California. After the war, she and her husband John engaged the OSU and Corvallis communities in numerous capacities, including work with the OSU Alumni Association, OSU Foundation and Music Department. Fenner's interview focuses on her years as an OSC student, her war service and her connections to the university in the decades that followed.